If you’re thinking to decorate or redecorate your living room for this year, you should know first what you want to achieve. Remember that living room is the place where guests can see your lifestyle and it’s a space for gatherings of friends and family members. Whatever color you’ll choose for the living room, it will definitely affect how the guests will feel once they are in the room. Depending on the color intensity (warm or cool), color provides energy and relaxation in the space. If you’re picking soft blue and white, it will make the room feel calm, cool, and organized. It will be the perfect setting for classy and elegant gatherings. Moreover, you can put a light-colored carpet to warm the space, balancing the cool tones of overall scheme. Decoration also involves furniture. If you’re planning to buy furniture for living room, you should have an idea which one will be more suitable. Be honest with yourself whether your current decoration works for your space or not. Decorating your living room for second or third time will be a good chance to find out what’s important to you and what you want. Now, if you decide what you really want for your living room, you can pick the right furniture. You can also ask salesperson to recommend you pieces of furniture. Moreover, you can read DIY home blogs regarding this. Whether you live in an apartment or on those kit homes, prized possessions are part of our home. Displaying some of your prized possessions adds more life to your living room while bringing out your quirky side of you – after all it’s your living room. Prized possessions differ for each people. It can be different things depending on the personality but it deserves a highlight. You can personalize those collections to bring your taste and preference. Pattern on any piece of décor is a great design tool. It offers energy and helps in minimizing the stain or wear and tear appearance. A patterned rug will bring sense of life, aside from its function of anchoring a seating area. We all know that living room is the space of home for gathering. Since this is a gathering space, you should arrange the furniture that promotes healthy interaction and conversation. Your chairs and other seating pieces shouldn’t be near the walls; arrange them facing each other. If your living room is huge, you can make two gathering space to make it more comfortable for your guests. You can arrange chairs and pull them into the group when needed, allowing the circle to expand while keeping the intimacy of conversation. It can be a challenge to get the proper lighting for the living room. If you pull it off right, the entire look of the living room will be much better. You can use some combination of lighting. The sample would be overhead light, accent, and task lighting. Once you determined what light you need, you can focus on finding the light sources and combine it with your entire décor theme. Mirrors help in creating illusion of light and space. It also adds classy look to the living room. You can complement your wall accent with mirrors in various shapes. You can use mirrors to reflect the natural light or attract beauty points for chandelier. Selecting the focal point will help you to plan the space decoration and arrangement. It can be the entertainment set like TV, chandelier, and more. Once you determined the focal point, arrangement of the furniture and spaces will fall into place. If you choose the entertainment set as your focal point, the standard viewing distance of TV is between eight to 12 feet maximum while the viewing angle not over 30 degrees/ your couch or main sofa should be placed facing the wall. If you have additional chairs, they can be put beside the television wall. You can read more about furniture arrangement online. Coffee table should be within arms’ reach so both you and the guests and set any drinks down. Beside the coffee table is the floor lamp. Aside from that table lamps are also gorgeous décor but make sure that they don’t take up the whole space of table top. If you want chandelier, it should be placed on the centered above the designated main seating area. If you want spot lights, they are great for highlighting the art works and decorative items in the walls. 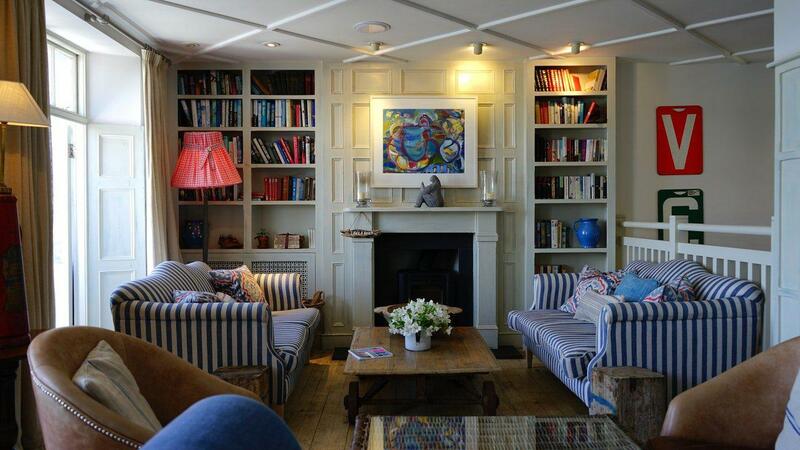 Storage are not only for bedroom and kitchen, it can also play a vital role in your living room. If you spend a lot of time in the living room, it’s essential to put some decors that will represent your entire preference. Spots to store and display your items will showcase the things you love, making the living room more personal. You can put bookcases or shelves and room dividers to showcase your life’s interests. Photos, travel items, books, and plants are some of the pieces you can put on display. Moreover, your guests will be delightful to see the things that reflect your personality and it will definitely entertain them. Aside from making any room feel homier, house plants also clean the air. If your home has clean air, it makes everyone healthier in the house and leads to productivity at home. Some of the great recommendations are Aloe Vera and Snake Plant. Both of them can live any dim lit room. It doesn’t matter if you created the art yourself or bought from a store, what more important is that you have something creative to decorate the living room walls. Even if you have painted the walls with new color, it’s still empty to look at. You don’t have to choose complicated arts, it may be simple but offers delight when you look at it.